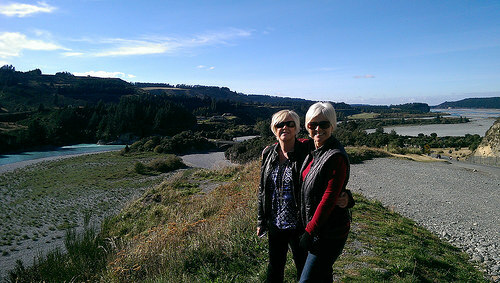 Driving the scenic route Christchurch to Queenstown means first passing through Darfield then veering off on SH77 towards Rakaia Gorge. Just before reaching the gorge, there’s a steep and winding stretch of road, where at the upper most corner, lies a magnificent valley. There’s a great lookout point a few kms after the bridge and a good place to stop to stretch the legs. We stopped at the pretty little town of Geraldine, home to Barkers Jams, cheeses, icecream and coffee. In the summer season, Geraldine has a festive atmosphere and is a popular tourist stop. 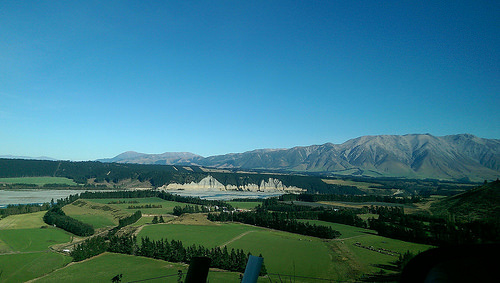 We resumed driving towards Burkes Pass via the beautiful agricultural area known as Fairlie. 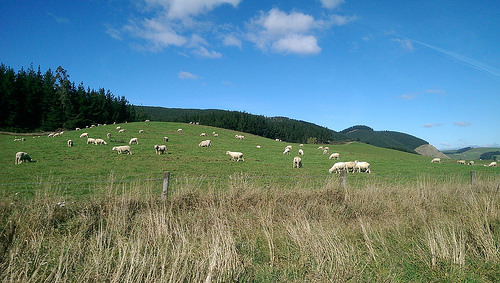 Plenty of sheep grazing here and healthy pastures. 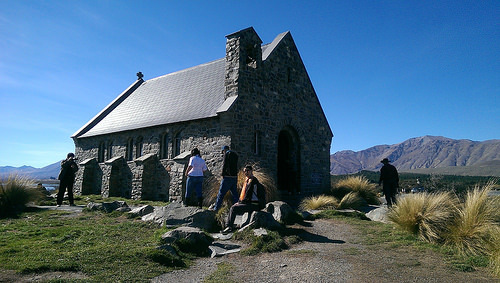 After Burkes Pass we reached the ‘jewel’ of the Mackenzie Basin, Lake Tekapo. 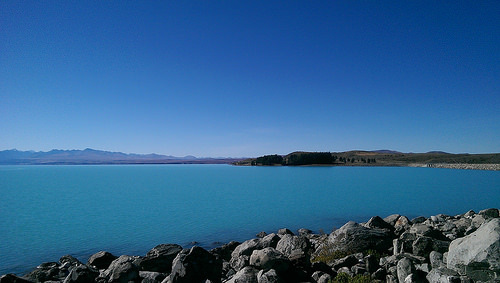 The beautiful Lake Tekapo has an unusual turquoise-green water resulting from ‘rock flour’ from the glaciers. These fine pieces of sediment mix with the sunlight to create the lake’s unique colour. 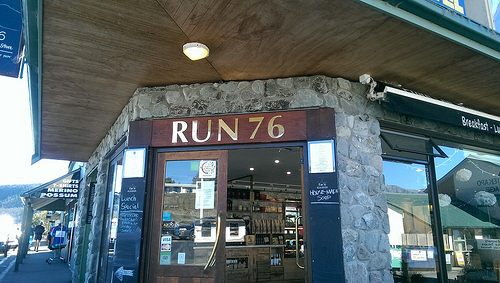 We had a great coffee and lunch at Run 76 – bacon & tomato quiche, vegetable frittata and gluten-free options – quality home-baking. The iconic Church of the Good Shepherd is a very busy place nowadays. Everyone wants a photo opportunity and you may have to jostle for your space! It was all a bit too much for Michael who bundled us up in the car and continues to Lake Pukaki a bit further along. I still manage to get this shot of the Good Shepherd Church before leaving. 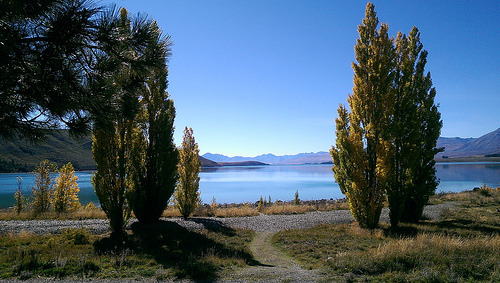 Lake Pukaki really is an awesome sight in the true sense of the word! Remember what I said about the colour of the water, well this photo pretty much sums it up. At Lake Pukaki there is the Mt Cook Alpine Salmon outlet. Its handy to know you can buy salmon before travelling on to Omarama. 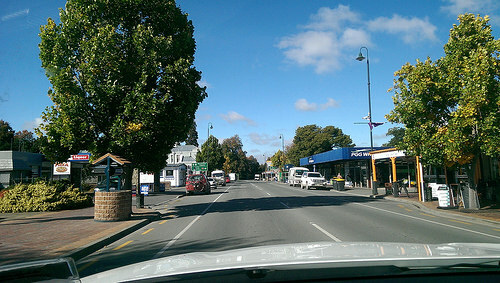 The small township of Omarama lies at the southern end of the MacKenzie Basin and another good place to stop. 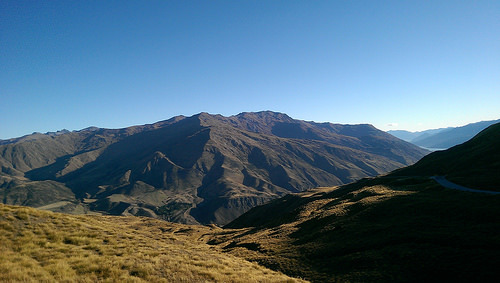 The Lindis Pass has a special arid look and always makes a great photo. 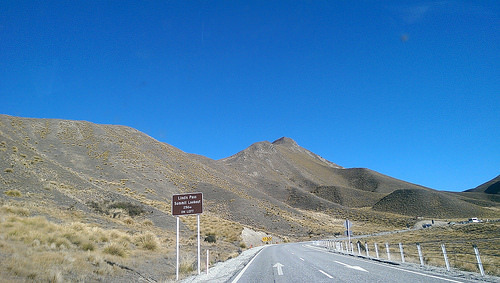 The Crown Range is the highest public road in New Zealand. If you’re travelling this road between May and September, you’ll need to carry chains. At 1121 metres, its not for the fainthearted, especially if you have chatterboxes in the car. For the views alone, it’s so worth it. After slowly descending down to Queenstown to the Millbrook Resort which is 18.7kms out of Queenstown, we arrived to 500 acres of the most breathtaking grounds of reds, golds and greens. This is a great place to celebrate a birthday!